CSM is reinventing the clinical trial supply chain with our innovative On-Demand services. We recognize the packaging and labeling obstacles you face for your clinical trials, from time constraints to study changes that cause re-work and waste. With CSM’s On-Demand method, you will be able to shorten timelines, reduce clinical trial costs, and increase the flexibility of your study so as to directly tackle any packaging and labeling difficulties from the start. On-Demand focuses on actual enrollment, allowing your company to start a clinical trial in just a few weeks, because we recognize the urgency of time in regards to your clinical trial processes. Therefore, our On-Demand methods include the packaging and labeling of clinical supplies specifically for, and immediately prior, to each shipment request. Additionally, we make sure your On-Demand request will be processed and shipped between 48-72 hours every single time; standard turnaround time depends on your location (EU or US). Also, please review our On-Demand Services Case Study for more in-depth information on this innovative clinical trial logistics service. 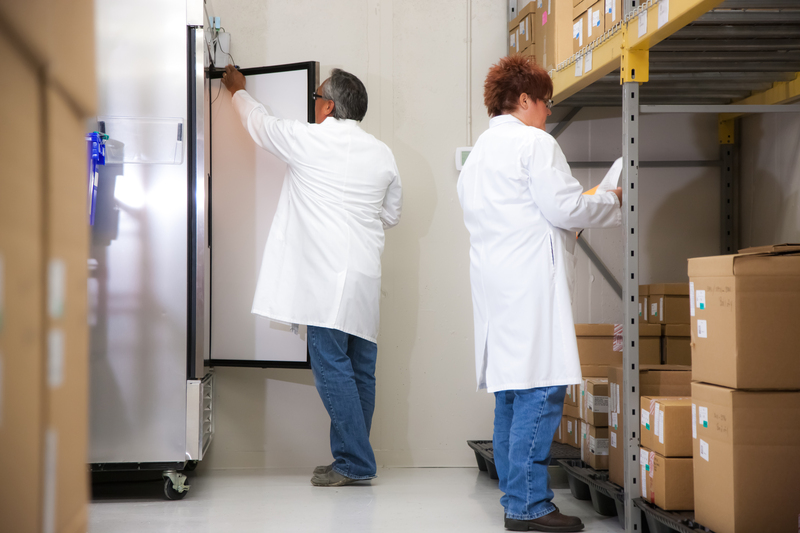 Even with expense forecasting and implementing lean from the beginning, more than 25 percent of all clinical supplies that are packaged and labeled are never used. On-Demand packaging and labeling of clinical trial supplies specifically for, and immediately prior to, each shipment request eliminates this waste. This allows you to save more than what you spend to package the entire clinical trial. It also reduces storage and inventory, and makes adaptive trials possible. While traditional clinical supply management methods may be appropriate for some trials, others involving expensive and limited supply medicines can greatly benefit from the On-Demand method. As an example: In a recent study a comparator drug of $5,000 per unit was ordered and dispensed On-Demand. Since much smaller quantities of the drug were needed, using On-Demand saved almost 70% compared to the traditional method. >> For more information about how CSM’s innovative clinical supplies management solution will aid your team in shortening timelines, reducing costs, and increasing the flexibility of your study, read this article. On-Demand clinical trial supplies are packaged and labeled after the receipt of the shipment request. This process requires much less bulk drug at the start. In fact, bulk drug could be continually received in small allotments without affecting the On-Demand process. Once a shipment request is received, only the requested quantity is packaged and labeled. This can apply to primary packaging as well as secondary packaging. The clinical trial supplies are prepared and shipped between 48-72 hours. Request: An IWR/IVR requests specific kits/blocks via fax or email. We can also customize this process in the event you aren't using an IWR/IVR. Dispense: The requested kits are packaged and labeled upon receipt of the request under cGMP conditions and are 200% checked for accuracy before release with an additional 100% oversight and final release by Quality Control. Ship: Between 48-72 hours of Request, CTM is shipped overnight to study sites in a protocol specific pack out. Like traditional packaging and labeling, On-Demand service is responsibly performed under cGMP conditions and diligently follows the requirements of 21 CFR 211 and Annex 13. We recognize the packaging and labeling obstacles you face, from time constraints to study changes that cause re-work and waste. With the On-Demand method, you are able to shorten timelines, reduce costs and ultimately increase the flexibility of your study. Read this Case Study detailing the dramatic advantages of our On-Demand Method. The study details how to successfully accommodate last-minute supply changes and readers will learn how CMS helped a sponsor to package and label an IMP.